The listing was selected by editors of HGTV.com as a finalist in the Extreme Homes category, based on its extraordinary features and inspirational design, captured by striking photography. Additional categories include Amazing Kitchens, Curb Appeal, Global Homes, Homes with a History, Modern Masterpieces, Urban Digs and Waterfront Homes. 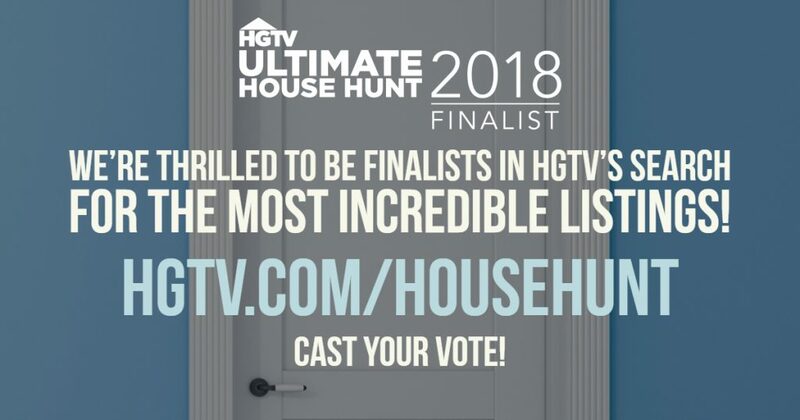 This is the seventh consecutive year HGTV has aligned exclusively with Windermere Real Estate global real estate network Leading Real Estate Companies of the World® and its luxury marketing division Luxury Portfolio International® to host the Ultimate House Hunt, which is one of the most popular contests on HGTV.com. “We are thrilled that The Treehouse was selected as a finalist in HGTV’s Ultimate House Hunt contest. The home was designed by renowned architect, Tom Bosworth, who captured the essence of the property’s environment and translated it into a beautiful and unique home.” The property owner comments: “Nestled in a vibrant green rainforest, surrounded by enormous Doug fir trees and bordered by pristine Dabob Bay, this modern-day Treehouse has an amazing spirit. It is an architectural treasure that sits gently on the forest floor nodding gracefully to its environment. As cliche as it may sound, every time we walk into this home our souls are renewed and the clutter of day-to-day life truly does disappear and we are left feeling extremely present and content in this small, undiscovered corner of western Washington. 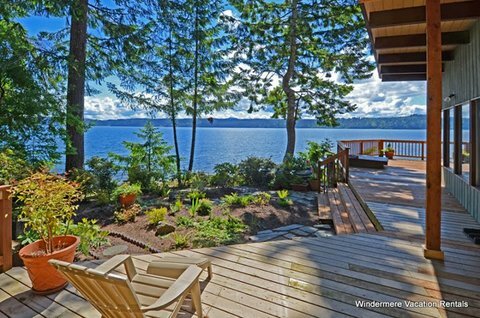 It’s a breath of fresh air.” Valerie Schindler, Owner/Designated Broker, Windemere Hood Canal. Before the wet and cold weather arrives, makes fall the best time to tackle home maintenance projects that are vulnerable to the weather. Of course, you can always search the internet for fixit tips and home maintenance “how-tos” We’ve put together some popular ones below. According to the National Association of Realtors annual Vacation and Investment Home Buyers Survey for 2014, vacation home sales increased by a whopping 57% over 2013. It states demand is particularly high among baby boomers who are prepositioning for retirement. We can relate! Hood Canal has always been a vacation home/second home market. Not only because of the beautiful water and mountain setting which offers so much in the way of outdoor activities. But also because it's only two hours from major metropolitan areas. It's easy to get here for weekend getaways. And those that decided to move here full-time find, like many of us, that being only a couple hours away from Seattle means you can still go to Seahawk, Mariner and Sounder games, concerts, operas or other major events. Many times we rendezvous with old friends in Seattle by leaving our car in Bainbridge Island or Bremerton and walk on the ferry to go to Pike Place Market or catch a bus or train to other destinations. Here is a link to the National Association of Realtors article and Infographic: Vacation Home Survey. If you are considering buying or selling a vacation rental, its sure to be of interest to you. 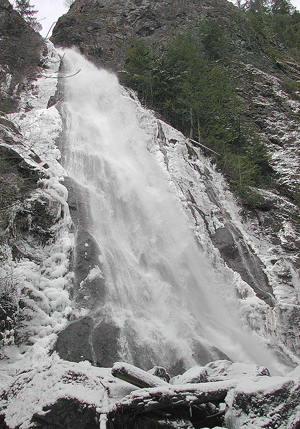 Hiking in the winter at Hood Canal offers hikers spectacular views on crisp, sunny days from the trails of Mt Zion, Mt Townsend, Mt Walker, and Mt Ellinor. But even cloudy, misty days offer the benefit of less people and choosing hikes with waterfalls and moss covered trees: Dosewallips River hike, Steam Donkey trail, Murhut Falls, Lena Lake, and Staircase. Use the hiking guide at wta.org and choose the east Olympics region for more hiking options.